This book examines the different means through which Spain has revisited its ex-colony - the Philippines - since 2000. Focusing on several major exhibitions organised in the period 1998-2017, the ‘poetics’ (narratives and meaning) and ‘politics’ (institutional power) of Spanish representations of the Philippines are critically examined. 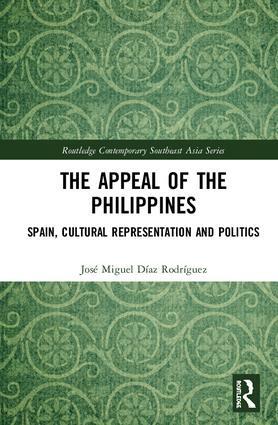 Even though Spain’s intention was to offer a fresh and updated look at the Philippines through the events organised, there was also a tendency to refer to and recreate a colonial past, posing important questions about the continuity of conceptions concerning the old Spanish Empire in the 21st Century. Díaz Rodríguez further analyses Spanish cultural policy concerned with cultural promotion outside Spain and, in particular, in the Philippines. He considers the Spanish official approach to cultural exchange in the Philippines and the consequences of particular intercultural events supported by Spanish institutions in the Philippines. This is evidenced by unique data gathered from a number of interviews conducted by the author with Spanish and Filipino artists and cultural workers. His conclusions contribute to the understanding of the transnational movement of culture, including cultural representation, arts funding, and the links between politics and the arts. José Miguel Díaz Rodríguez is a Lecturer at Massey University of New Zealand – Aotearoa. He holds a PhD in Spanish Cultural Studies, for which he received an Arts and Humanities Research Council Award at the University of Leeds (UK). His research interests include Spanish and Filipino cultural studies, cultural representation, post colonialism, intercultural exchanges, and the promotion of culture in transnational contexts.